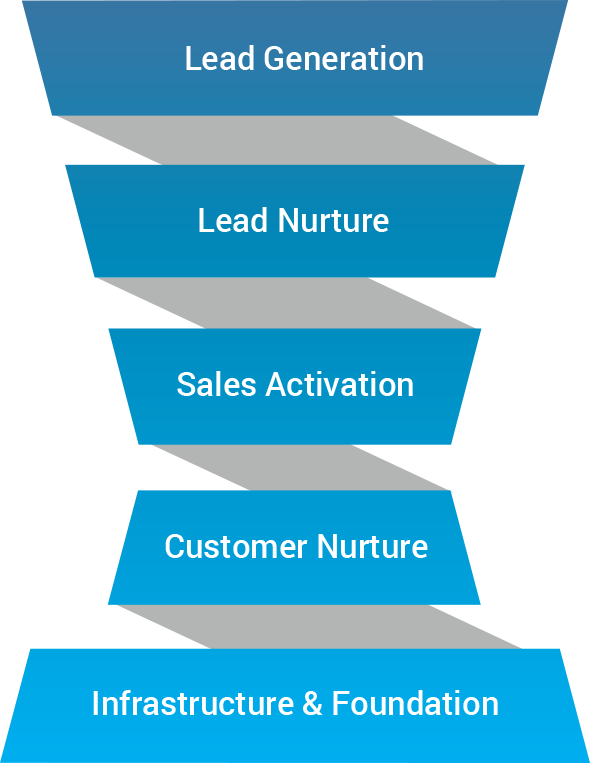 Marketing and Sales Pipeline Overview. Services that fuel revenue growth. Focused on delivering results, our integrated services empower you and your team through every step of the marketing and sales process. Below, we’ve grouped each integrated service set into the five stages that fuel a world-class revenue engine.